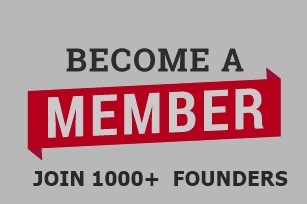 Since we started this extraordinary group which as become a great blessing, We`have always shown appreciation for 8000+ members support, donations and loyalty. 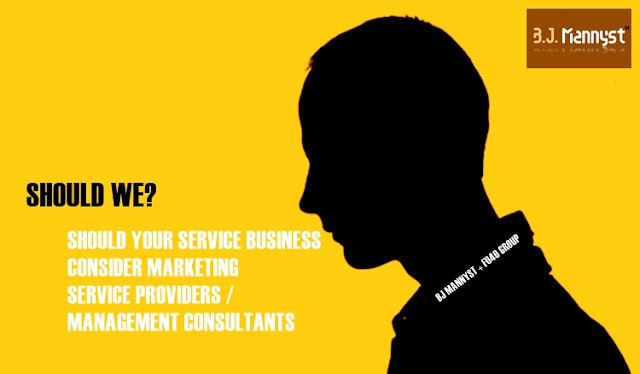 So we came up with over 20 great marketing and business ideas for you. 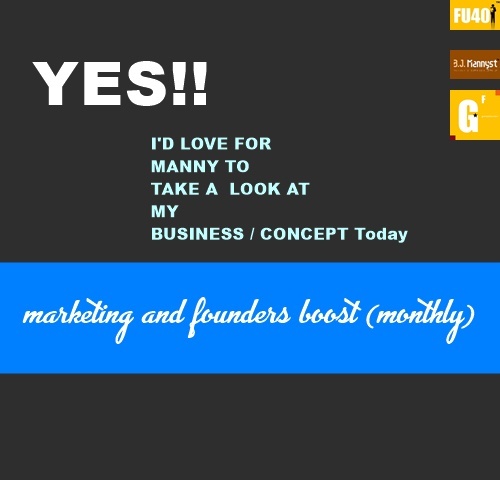 Thank You to BJMANNYST.COM for their collaboration & marketing support of Founders Under 40™ Group (www.foundersunder40.com). 1. Don`t do what you don`t have an ounce of love for. 2. Find others who love what you hate. 3. Me, Only Me businesses doesn't work anymore. 4. Create conversation, engagement, interaction, offer value. 5. Know your target very well, so you can always be great at anticipating what they need now and in the near future. 6. Know exactly where targets spend time and don`t try to mess up the ecosystem. A group made for entrepreneurs wants to interact with their peers so if you don`t fit, don`t try to change the ecosystems. It`s up to you to adjust. Not for them to adjust to you. 11. Use your marketing and business resources like everyone else, you are likely to produce similar outcomes. 16. Most people like what everyone likes, even venture capitalist. 19. If you are in the first page of search result you are not invisible. The other pages start to become invisible. 21. Create content people can’t help linking to. 23. People will say good, bad, true and untrue things. Some might exaggerate or spread rumors. 27. Is your social media goal to educate, share, or community? 28. Contact the people who write about the topics you care about. 29. Viral video generates buzz and awareness not sales. 31. Consider using multiple sites, social media or blogs for each of the mini targets you’re trying to reach. 32. Find ways to meet your online fans offline as much as possible.